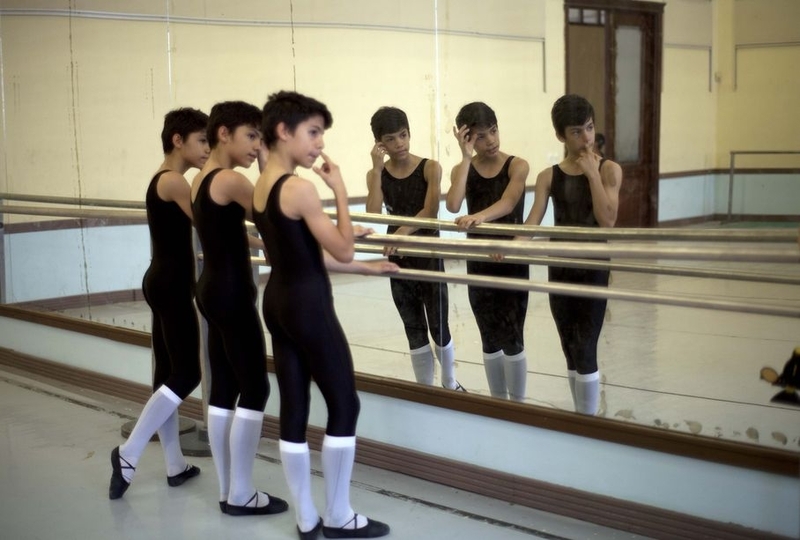 In the article, Boy triplets a sensation at top Cuba ballet school, we are introduced to the Ramirez brothers who attend the National School of Ballet in a Old Havana, Cuba. We are told that this trio spends 12 hours a day in school. Oh Yeah! Not only do they dance, but they study all other school subjects like Spanish language, math and history too. Ballet Nacional de Cuba was first established on October 28, 1948 by Alicia Alonso, prima ballerina. A little research on their school and you will find out that they take great pride in raising “creme de la creme” (the very best) of young dancers from across the country. Angel, Marcos and Cesar Ramirez Castellanos, 13 years of age, discuss how school is important to them, how they came to love dance and what it means to work and have fun during their long school days. Read the article, Boy triplets a sensation at top Cuba ballet school, and share your thoughts on the following points. Do you believe being a triplet makes it harder or easier to accomplish personal goals? Explain. If you attended Ballet Nacional De Cuba, what would your school schedule look like to reach your educational goals? What question would you ask Angel, Marcos and Cesar about the art of dancing or ballet? Do they do everything the same? Find out. I think being a triplet would be stressful because so many people would get my name wrong! Read the article and see how the teachers at that school fixed this problem. I think I would not like to be a triplet because… thats just creepy having 2 copies of you! I agree with you. As a matter of fact, the article points this out too. Being a triplet wouldn’t be fun because you wouldn’t be yourself . Who would you be? Can you explain a bit more? Great post. I think being a triplet would be a little bit harder to accomplish my goals because then I would have to worry about my other siblings doing the same thing. Interesting point! You mentioned that you would “have to worry”. Thanks for sharing your thought. I agree with kiwi 33 because, If you wanted accomplish a goal that you siblings have, you would have to work harder or in their case , dance harder.